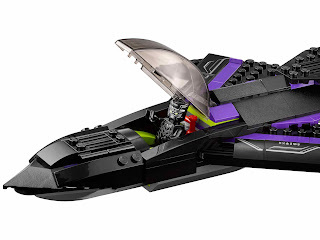 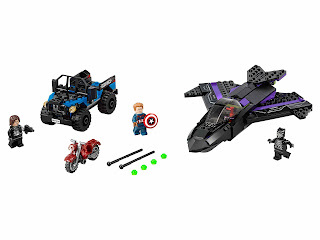 come with a black panther’s jet and a captain america’s 4x4. 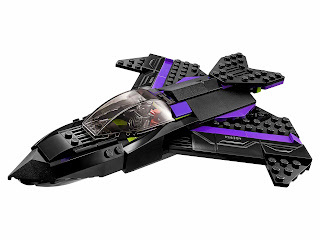 the jet has an openable cockpit and 2 stud shooters. 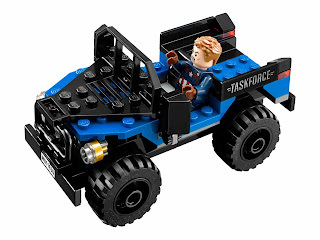 the 4x4 has a spring loaded shooter, big wheels and transparent headlight. 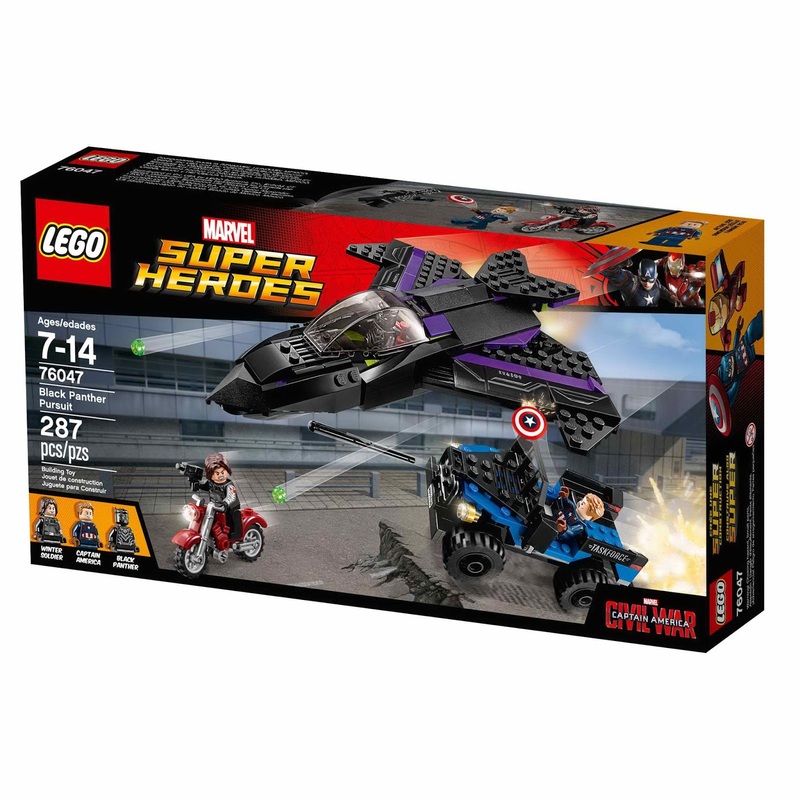 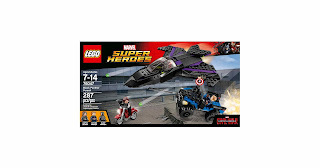 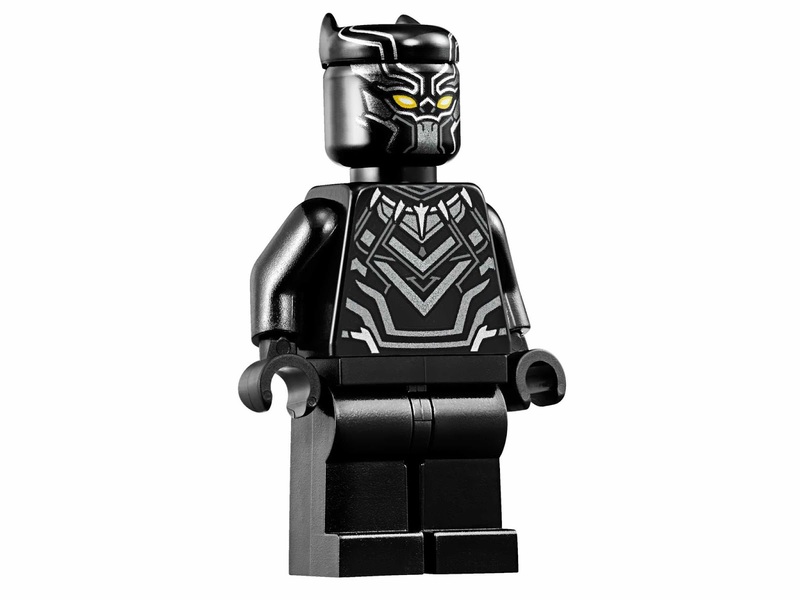 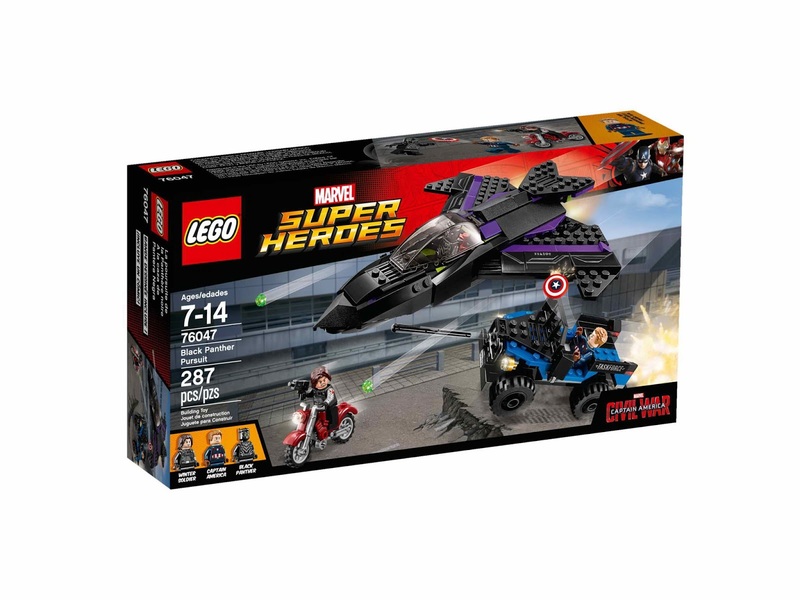 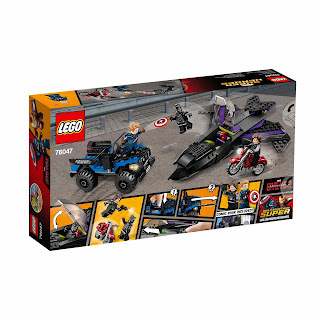 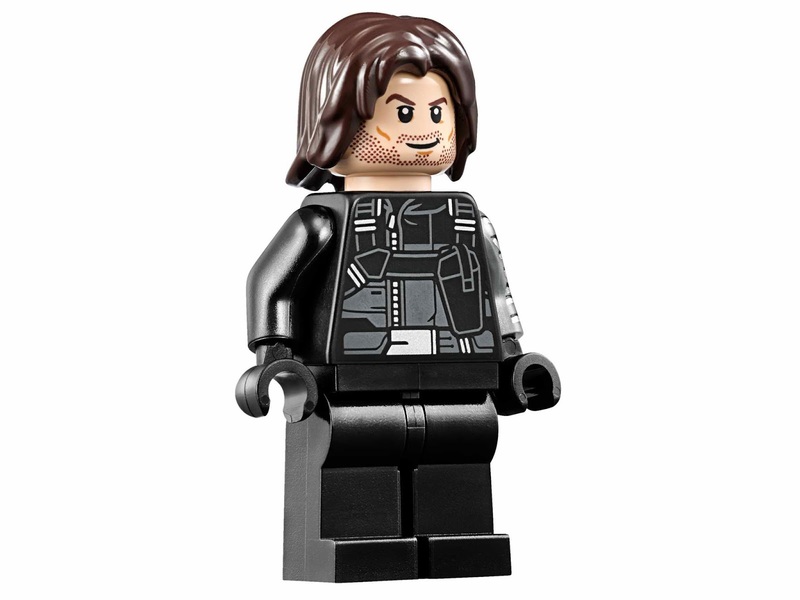 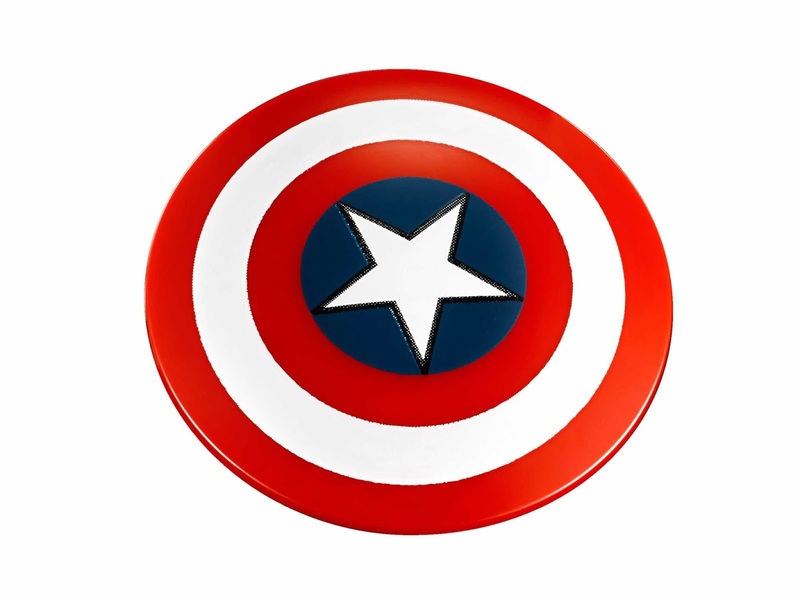 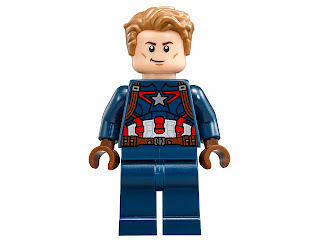 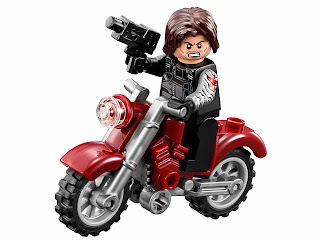 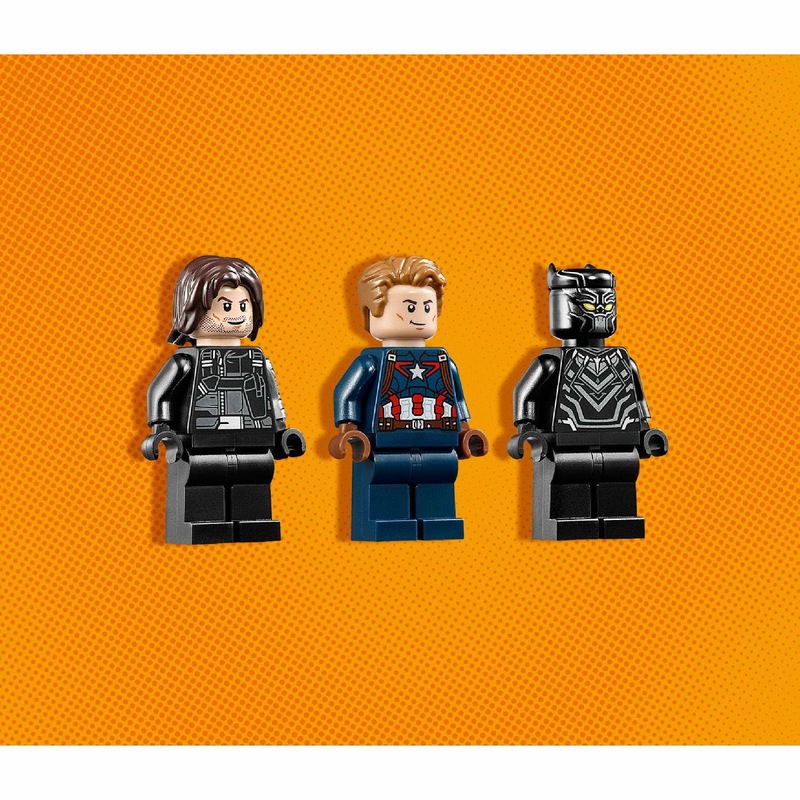 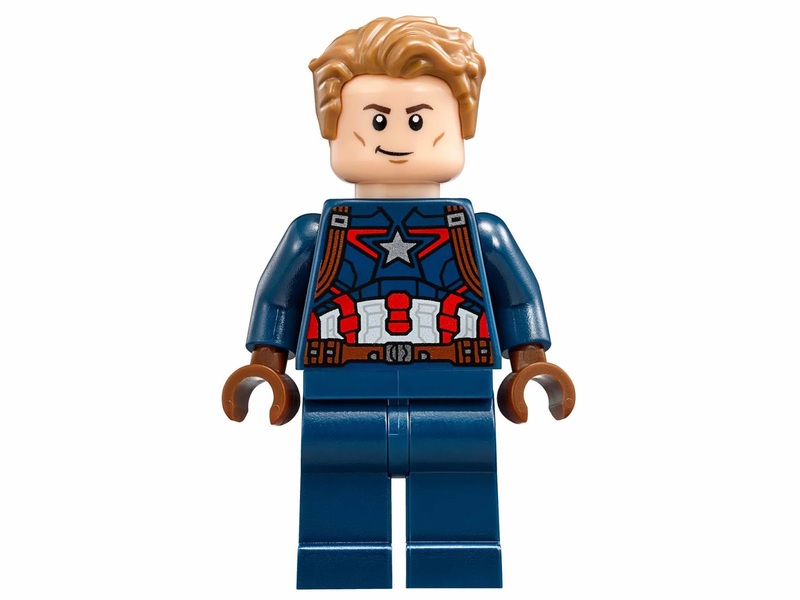 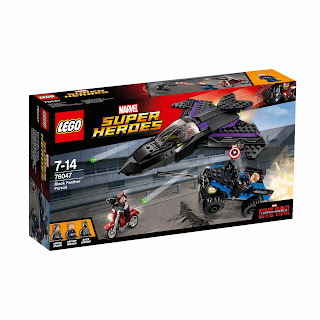 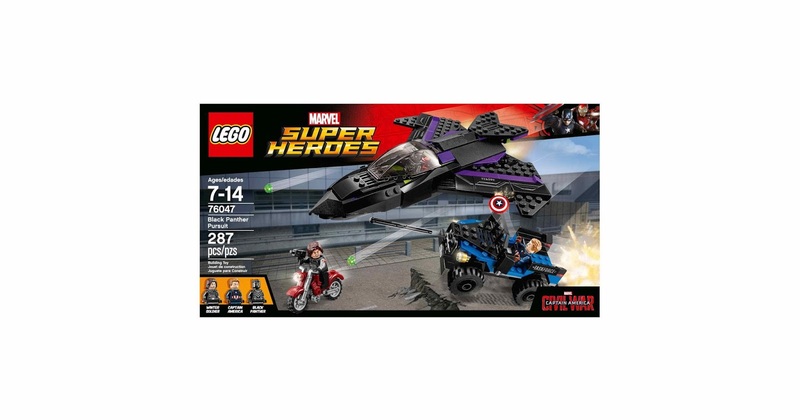 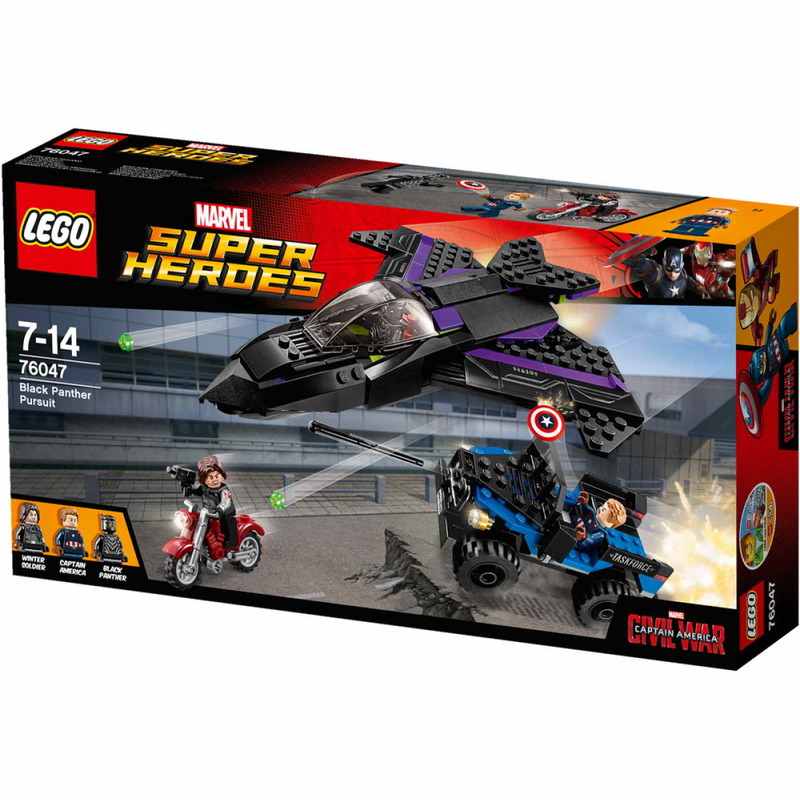 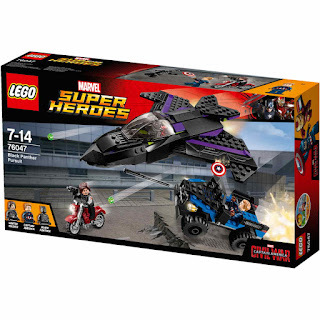 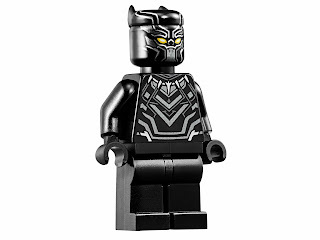 minifigs included a black panther minifig, a captain america minifig and a winter soldier minifig.